Michael M. Kocet is Professor and Department Chair of the Counselor Education Department at The Chicago School of Professional Psychology in Chicago, Illinois. 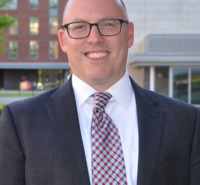 Dr. Kocet earned his Ph.D. in Counselor Education from the University of Arkansas and completed a graduate certificate in dispute resolution at University Massachusetts Boston. He is a licensed mental health counselor and National Certified Counselor and an Approved Clinical Supervisor. His professional areas of interest include: ethical issues in counseling; counseling gay, lesbian, bisexual and transgender clients; grief counseling, and is author of numerous journal articles and book chapters on ethics, LGBT and diversity issues. He is the editor of the book, "Counseling Gay Men, Adolescents, and Boys: A Guide for Helping Professionals and Educators" published by Routledge Press and is co-author of the text Ethical Decision Making for the 21st Century Counselor by SAGE Press. Dr. Kocet served as member of the American Counseling Association Ethics Committee (2001-2007) and chaired the American Counseling Association Ethics Code Revision Taskforce (2002-2005). He is Past President and current ACA Governing Council Representative of the Association for Lesbian, Gay, Bisexual, and Transgender Issues in Counseling (ALGBTIC). Dr. Kocet served as a board trustee for five years for the Association for Spiritual, Ethical, and Religious Values in Counseling (ASERVIC). He served on the Minority Fellows Program Advisory Council through the National Board of Certified Counselors. Dr. Kocet is active in community service, providing pro bono counseling at the Center on Halsted, an LGBTQ Community Center in Chicago. He also volunteers as a grief therapist for Comfort Zone Camp, the nation's largest bereavement camp for children, ages 7-17. He has presented at local, state, and national conferences in counseling and student affairs and is sought out as a national speaker and consultant on ethics, diversity, spirituality, and grief counseling.